All Sylvester AKA Odogwu wants to do is lay low and keep out of the daily troubles found on the Nigerian street. Alas, his reputation as the ‘urban myth’ precedes him and he finds himself a target of some corporate street slime. What do they want with him? 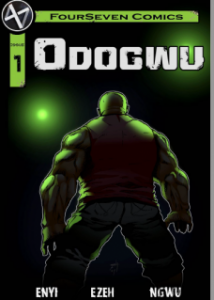 Odogwu is the 3rd comic by FourSeven Comic Studio.